Closeup of Artemio Posadas, musician, lyricist, and producer. Photos by Daniel Sheehy, Smithsonian Institution. Since the group's inception, Los Camperos de Valles have come to represent the best in one of Mexico's most distinctive and uplifting folk music traditions— the son huasteco. Marked by florid poetry, soaring high falsetto vocals, and ornate and elaborate violin improvisation, the son huasteco hails from the Huasteca, one of Mexico's most celebrated cultural regions. The Huasteca, which overlaps six states in east-central Mexico— San Luis Potosí, Veracruz, Tamaulipas, Hidalgo, Querétaro, and Puebla— is characterized by the historical blending of diverse cultures, including Spanish, indigenous, and African. The son huasteco has become an important expression of this centuries-old regional mestizo identity. 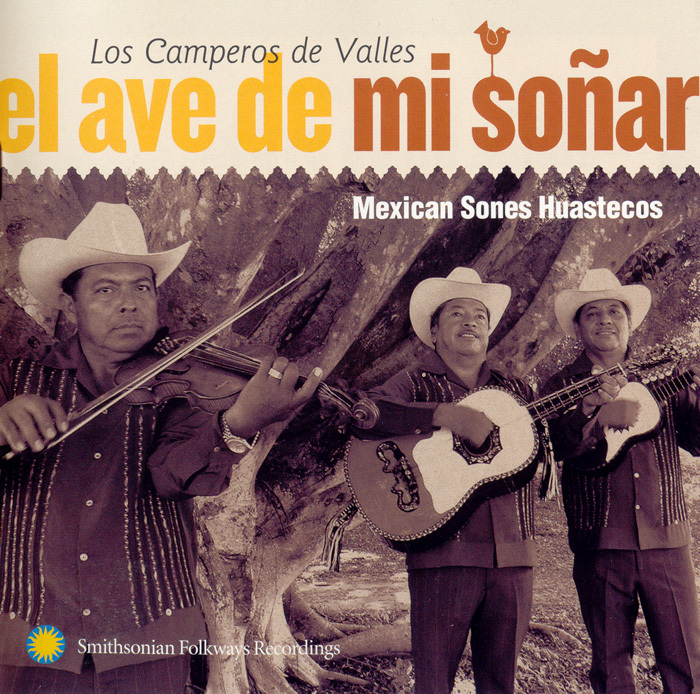 Through their collaboration with musician, lyricist, and producer Artemio Posadas to record the 2005 Smithsonian album El Ave de mi Soñar, Los Camperos de Valles bring fresh lyrics to the existing repertoire of son huasteco music, reflecting the lively, ongoing creativity within the son huasteco tradition. 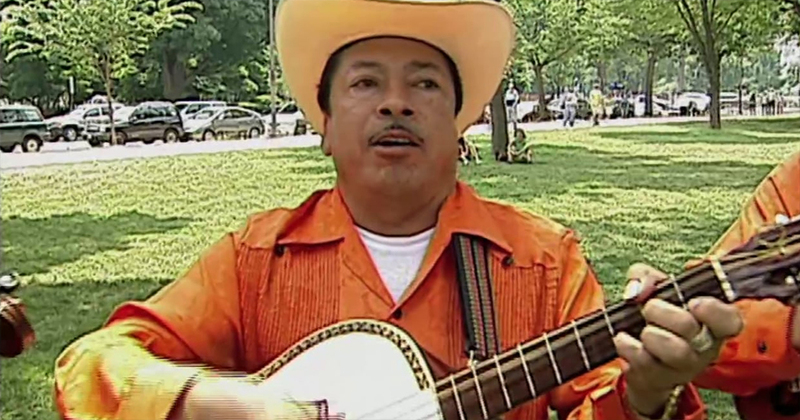 Los Camperos de Valles has long been acclaimed as one of the signature representatives of son huasteco music. The trio, which takes its name from the city of Ciudad Valles in the state of San Luis Potosí, first came together about 1974 when jarana player Joel Monroy Martínez joined up with veteran musicians Marcos Hernández and Heliodoro Copado. At that time, Copado was considered one of the greatest exponents of the Huastecan violin tradition, and Hernández was himself an accomplished singer and huapanguera player. Monroy had previously focused on the violin; however, he took up the jarana to complete the trio. 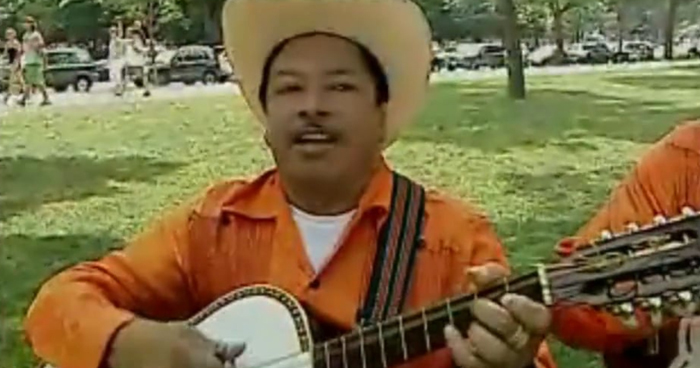 After a number of years performing with Hernández and Copado as Los Camperos Huastecos, Monroy moved to Tampico, Tamaulipas, to play with Los Caimanes (the Alligators), and Gregorio Solano took his place on the jarana. 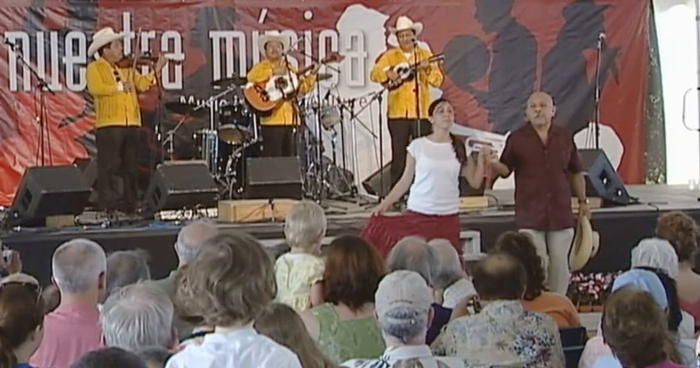 As Copado's health declined, Monroy, who had stayed in contact with Los Camperos while in Tampico, rejoined the group in 1995, taking over the violin. Thus, Los Camperos de Valles arrived at their present line up, with Marcos Hernández on the huapanguera, Gregorio "Goyo" Solano on the jarana, and Joel Monroy on violin. The group performs regularly throughout Mexico and the USA, especially in the Mexican communities of California and Chicago, IL. They have also toured around the world to England, France, Sweden, and Spain. For El Ave de mi Soñar, Los Camperos teamed up with Artemio Posadas Jiménez, a native of San Luis Potosí and long-time aficionado of the son huasteco. Writing flowery and poetic original lyrics to traditional son melodies, Posadas provided Los Camperos de Valles with new material that builds upon the existing repertoire of the vast huapango tradition. The sound of the son huasteco is as distinctive and unique as it is emotionally uplifting and complex. Huapangos (songs of the son huasteco tradition) are at the heart of the the trío huasteco' s repertoire, with three musicians playing three instruments and singing. Like other regional styles of son from Mexico, the son huasteco is vigorous and marked in its rhythmic drive and complexity. The characteristics are rooted in part in the rhythmic sensibilities of enslaved Africans and their descendants in the region during the period of Spanish colonization (1521–1810). The typical rhythmic tension of the son huasteco is created and sustained by the interaction of two types of regional guitars. The huapanguera or guitarra, a deep-bodied guitar with five courses of strings, provides the lower sound that serves as the rhythmic foundation. On top of the huapanguera is layered the jarana, a smaller instrument with five strings. With a higher pitch and a tighter sound, the jarana provides much of the rhythmic variation using special strumming techniques, such as the redouble (a flourish, doubling the strokes) and the abanico (a finger roll, literally, "the fan"). Beyond maintaining the basic rhythmic "groove," the huapanguera employs a technique known as the pespunteo, in which the player will pluck single courses of strings to produce a melody. Los Camperos de Valles's leader and huapanguera player Marcos Hernández is particularly acclaimed for his pespunteo abilities. Soaring above the interplay of the rhythm section is the unmistakable sound of the Huastecan-style violin. Responsible for presenting the basic melody of each song, the violin is also the primary source of ornate improvisation during drawn-out instrumental sections—an essential and distinguishing sound of the Huastecan-style violin. Responsible for presenting the basic melody of each song, the violin is also the primary source of ornate improvisation during drawn-out instrumental sections—an essential and distinguishing aspect of son huasteco. As singer and violin player Joel Monroy Martínez puts it, "If you don't put a little hot chili in the stew, it doesn't taste right." While the primary instruments of the trío huasteco form the essential ingredients of the son huasteco tradition, it is the seemingly impossible high falsetto vocal breaks that lend the son huasteco its most distinctive sound and feel. Made up of short stanzas of poetry called coplas, the verses are typically shared between two or more vocalists, with one vocalist singing one copla (four- to six-line stanza) and alternating with his or her partner. With already high-pitched melodies, it is when the vocalist breaks into falsetto that the son huasteco truly transcends. Again, as Joel Monroy Martínez explains, "Falsetto is very important. If there is no falsetto, it's like singing any old song. The huapango must have falsetto." In addition to understanding the characteristic elements that make up the son huasteco, it is equally important to understand the social and cultural significance of the music. Generally, huapangos have worldly rather than sacred lyrics. Often dealing with longing, love, and nature, the melancholy themes of many songs within the son huasteco tradition often contrast with and yet somehow complement the playful melodies.